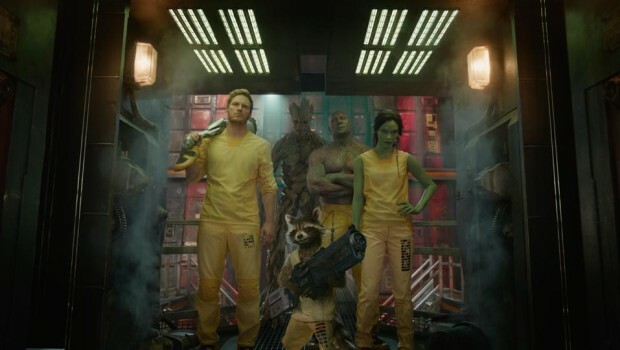 Shown last night on the USA network in America, an extended look at ‘Guardians of the Galaxy’ shows us a bit more of the prison line-up scene and a very brief (though not totally clear) view of Thanos (hint: look to the left of Gamora). This was part of the recent 17 minute preview that was shown in select cinemas but it’s good to see that those who were unable to get tickets for that are still able to see some of that footage. It certainly wets the appetite ahead of the movie’s release in just a couple of weeks time!